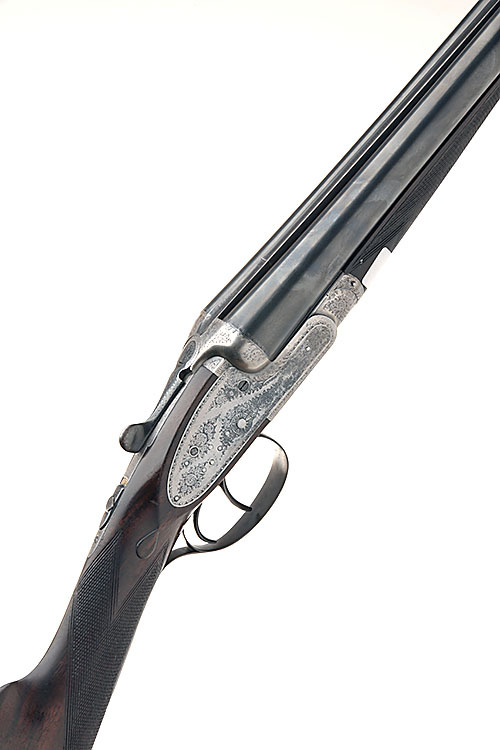 WILLIAM EVANS 12-BORE SIDELOCK EJECTOR, serial no. 13008, 25in. nitro barrels, rib engraved 'WILLIAM EVANS. 63 PALL MALL. ST JAMES'S. LONDON. ', 2 2 1/2in. chambers, bored approx. imp. cyl. in both, treble-grip action, automatic safety, border and acanthus scroll engraving, 14 3/4in. stock, weight 6lb. 6oz.